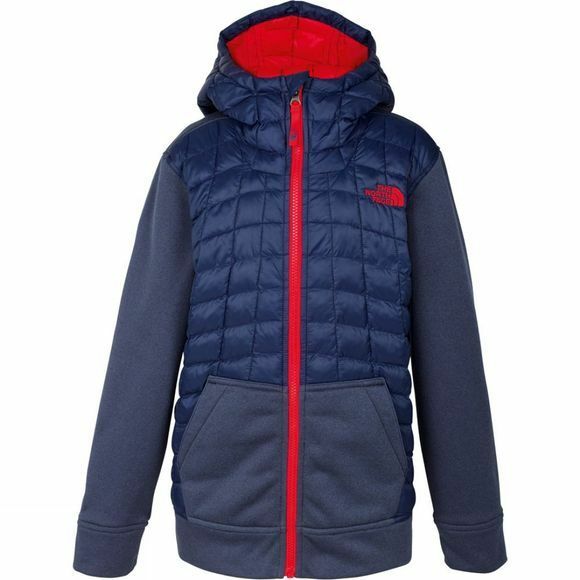 The Boy's Thermoball Canyonlands Hoodie from The North Face is packed with Thermoball insulation on the front of the body and hood for excellent heat retention. The back of the body is constructed with Canyonlands fleece for futher warmth, as well as the kangaroo pocket and sleeves for added mobility. 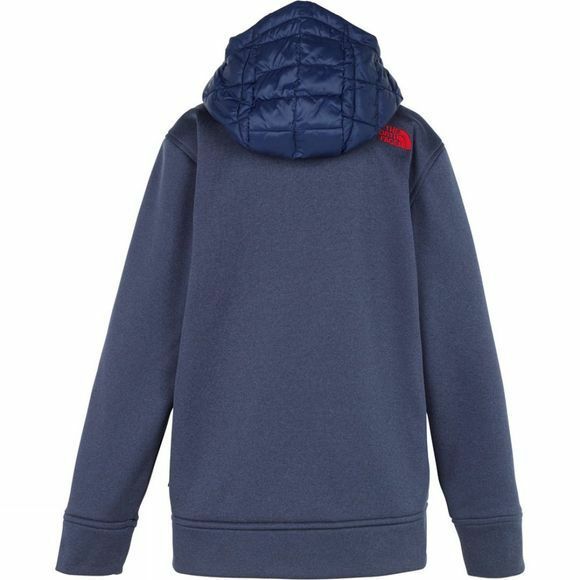 An attached hood helps keep your little man out of the cold, while a split kangaroo pocket provides space for his gloves and hat. A perfect choice for winter days.